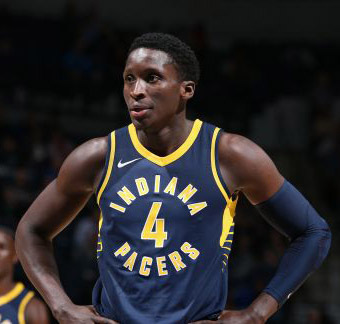 (Reuters) – Benefiting from an off-season trade, Indiana Pacers guard Victor Oladipo is finally becoming the franchise player he was projected to be. The 2013 top-two draft choice had been seen as ancillary to the deal when Indiana sent cornerstone Paul George to the Oklahoma City Thunder. But Oladipo appears focused on proving his worth in a new lead role with the Pacers. “I was already motivated before (the trade to Indiana), Oladipo told Reuters following a recent win over Atlanta. The fifth-year player has translated his motivation into career-best production as he averages 25.3 points per game on 48.6 percent shooting, which includes 42.5 percent from three-point range. He adds five rebounds and nearly two steals a night. The Pacers, who were expected to fall off a cliff in the absence of George, are holding steady at 19-14, the fourth best record in the Eastern Conference. Oladipo has been particularly devastating in the month of December, erupting for scoring binges that included a 47-point night in a win against Denver. Always known for his slashing athleticism and versatile defense, Oladipo has found a shooting comfort back in Indiana where he starred as a college player. “He’s come into the season with confidence, and I think to prove himself,” said Pacers coach Nate McMillan who has enjoyed extensive film sessions with his new guard. The Orlando Magic were intrigued by Oladipo’s talent when they drafted him as the second overall pick in the 2013 draft. After three solid but not spectacular seasons with the Magic, Oladipo was shipped to the Thunder. Playing alongside ball-dominant superstar Russell Westbrook, Oladipo had the role of unsung sidekick. So when the Pacers landed Oladipo, expectations were low. 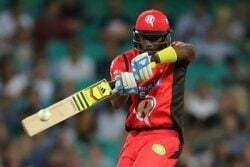 He is proving otherwise and appears headed for his first ever All Star appearance.